Since 1995, The Law Offices of Diron Rutty, LLC has been providing folks in New York City and Poughkeepsie, NY, with high-quality representation on matters relating to immigration law, estate planning law, real estate law and family law. Strategies to meet your specific Legal needs. We give every client and case the attention that is deserved, providing personal service so that our clients are well taken care of. Changes in the laws are small but have large effects and sometimes become laws with unintended consequences. At Diron Rutty, we understand that the divorce process can be stressful and even traumatic for all of the parties involved. It is a practice that prides itself on the manner it which it approaches each individual case and every person that walks through its doors. Following an initial consultation, we will analyze your case and provide you with a realistic assessment as to the various options you may have and the likelihood of obtaining successful results. We are straightforward, realistic and compassionate. Additionally, because we recognize how your legal matter affects you and your family’s lives in so many ways, we understand the importance of maintaining ongoing communication regarding the status of your case. You will never have trouble reaching someone who can provide you with the answers you need or who can get those answers if they are not immediately available. 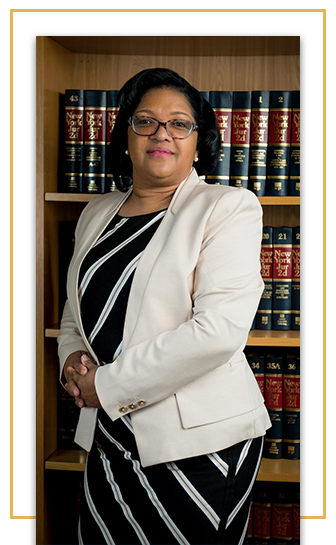 While attorney Diron Rutty is proud of her service-oriented approach to law, she is equally proud of the firm’s staff members who stand ready to assist you.